Cindy Orser, PhD. - Digipath Inc.
Cindy Orser, PhD. is the Chief Science Officer at Digipath Labs, and, serves on the Board of Directors. 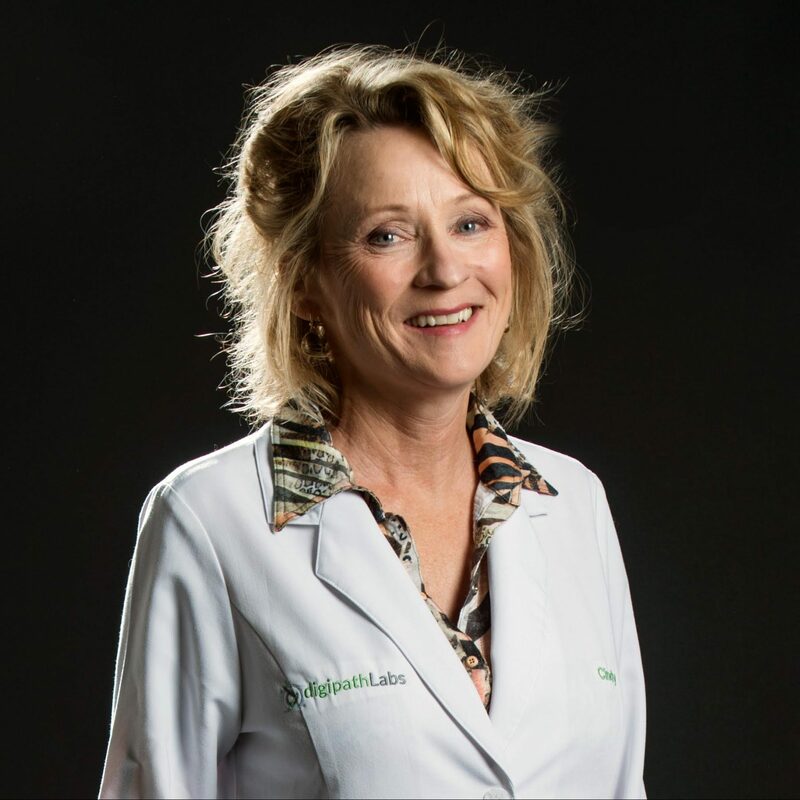 She is responsible for the initial development and rollout of the company’s industry-leading standardized botanical nutraceutical testing facilities. Dr. Orser draws from over 20 years of experience innovating for academia and private industry. She served as the liaison between her company, Big Sky Biosystems Inc., and regulatory compliance agencies such as the FDA, CDC, and ARC. Her responsibilities have included conceptualizing and managing key projects, lab benchmarking, fundraising and budgeting, staffing, managing personnel, identifying outside collaborators and directing subcontractors.